A multi-national team of 30 runners from emc europe will tackle the 13-mile Bupa Great Birmingham Run on October 19, to raise money for UNICEF, the world’s leading organisation for children. The team features 14 nationalities, including Spanish and Swedish, French and Finnish, Dutch and Danish runners, all based at the head office in Burton-upon-Trent. This year, emc europe – which specialises in mobile phone and laptop recycling for businesses – launched a partnership with UNICEF UK. Businesses which choose to recycle their devices through the firm now have the option to make a donation to UNICEF. The partnership aims to raise £375,000 over the next three years to support UNICEF. 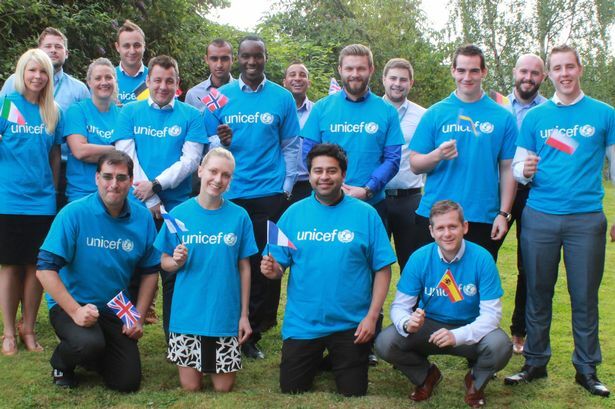 The emc europe team is aiming to raise £5,000 for UNICEF from the run. Organisers of the Bupa Great Birmingham Run hope to beat the record 20,000 runners who took part in 2013, when the run reached capacity a week before the event. To enter the Bupa Great Birmingham Run Business Challenge visit www.greatrun.org/birmingham .